What qualifies someone to teach others? Advanced biblical training? Theological degrees? Titles? One of the major reasons why we are not seeing multiplication in our churches is because we are teaching people to do what we think they need to do instead of what we ourselves are doing. Recently, in an effort to equip our preachers to write sermon series, I had to sit down and figure out the process I followed to write sermon series. Something I had been doing for years needed to be translated so that someone else could do what I had been doing. That is, if I wanted to share the wealth. Put down the process in terms that someone can understand. Give it away. Paul tells young Timothy to “entrust it” to reliable people. Let others try. Show them what you wrote down. Better yet, show them, let them watch you. Then, let them try, and you watch. 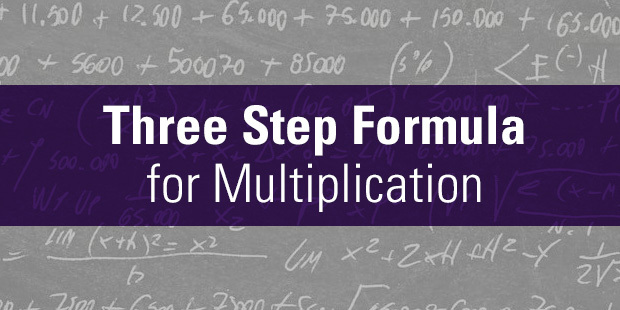 Here’s the thing I’m learning about multiplication: everything can be taught using this 3-step Formula. Now, an assignment: Name one area in your leadership (at church or at home) today that you would like to give away/ share with someone else. Once you’ve identified it, try out the three step formula. 1) Figure out what you are doing.